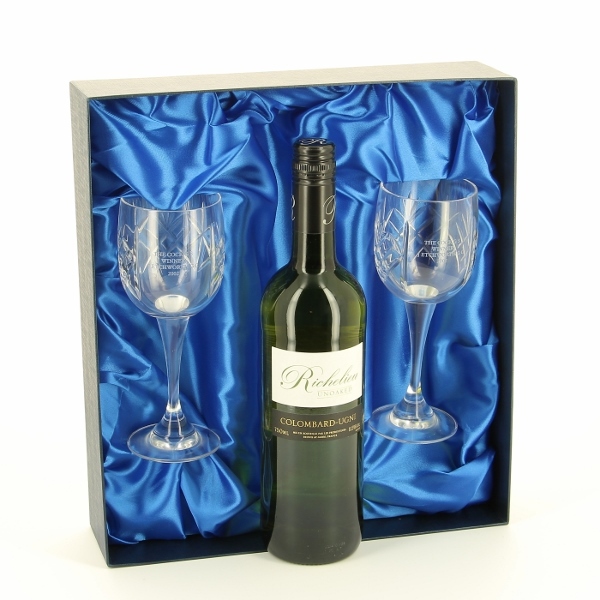 A beautiful Wine Glasses Gift Set complete with a bottle of white wine. You can have each of the glasses engraved, either with the same or different text. It comes complete in a blue lined silk gift box. You can have up to 4 lines of text engraved on each glass.